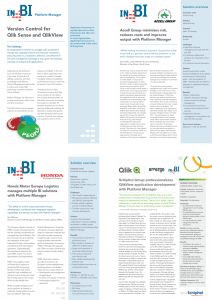 We have several brochures for you that explain our offering for Qlik and SAP BO. We also have Customer case studies that explain how Customers benefit from working with our solution. Fill in the form and select the brochures of your choice. The selected brochures will be send to you by E-mail. Use the below form to receive one of our brochures.